RMM Written By: Anthony B.
RMM: The Adventures of RuffledFox! Greetings! Welcome to the adventures of Anthony, or as some call me RufflledFox. 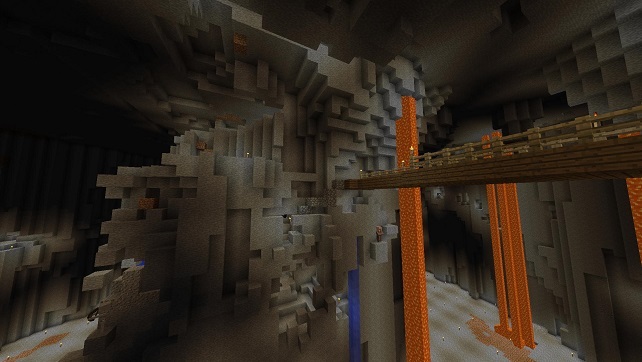 Today I started out in the new update of 1.7.2 for Minecraft! Hooray! 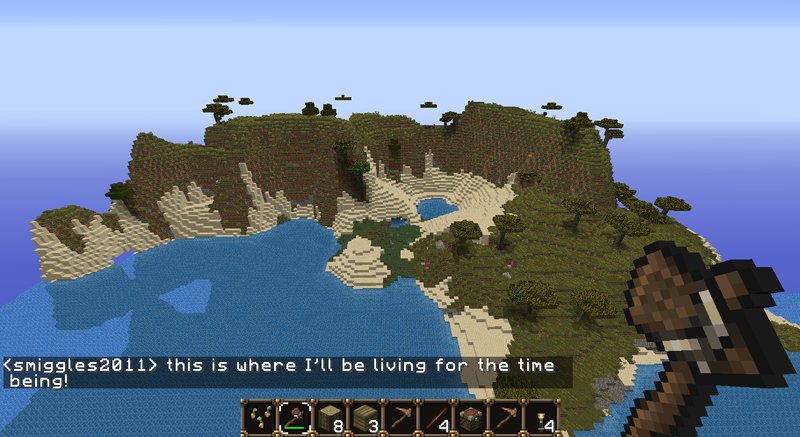 What follows is the start of my adventure in one of the new biomes! Can you guess which one it is? 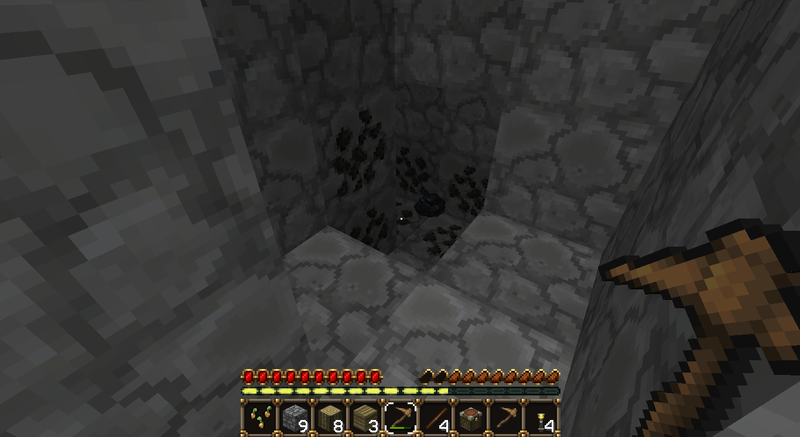 Let’s start off with where I ended up spawning. It’s a crazy steep and awesome island! It came with tall trees that lean over like their about to fall down on some poor unsuspecting pig or cow! Here is Jeff, the lonely pumpkin on the hill. I brought him down off the hill and placed him in my makeshift house. 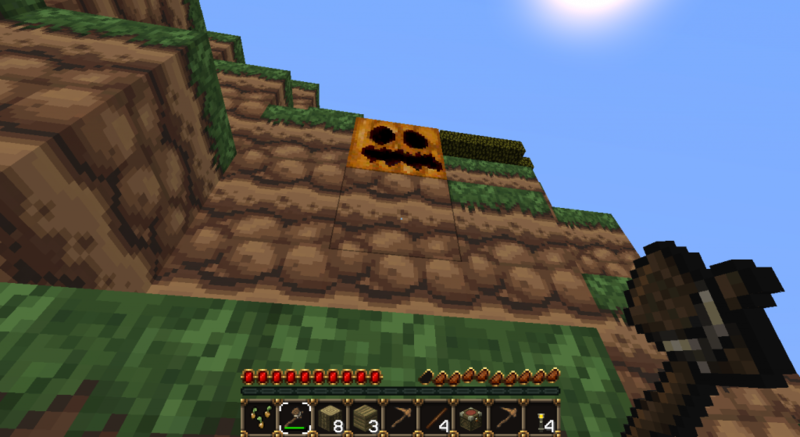 I then turned him into some seeds and grew more pumpkins! Muahahaha, though now he has a family and isn’t lonely….anymore… Oh well. Coal! The unloved fuel source of life in Minecraft. 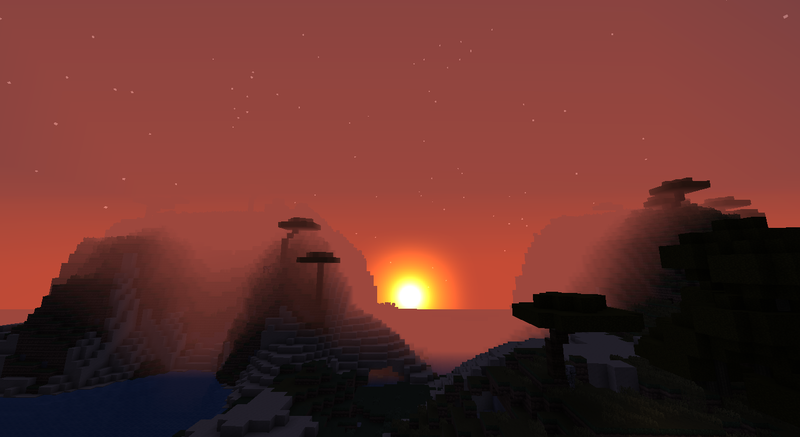 A wonderful sunset over my island! Just had to share it with the world, and put it as my background for my laptop. My house! Sorta small but I’ll make a bigger one later on when I have more stuff to use. 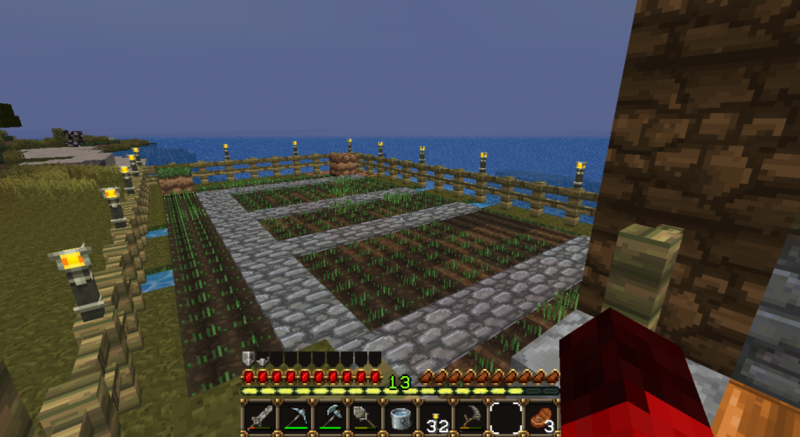 A farm that’s linked to my house for safe harvesting and growing of my food! 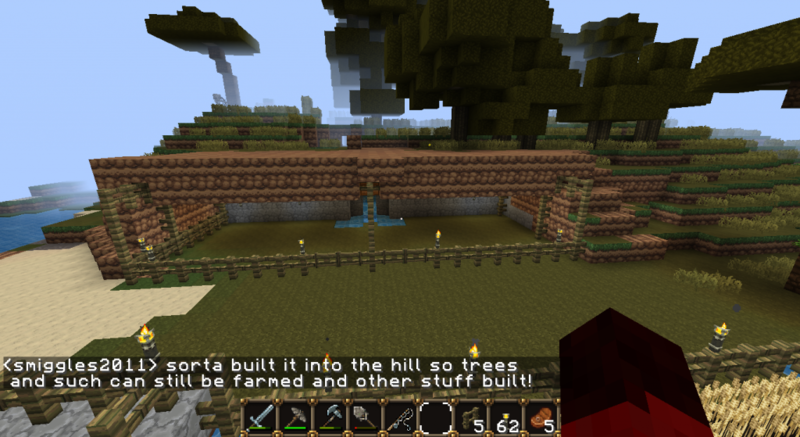 No creepers allowed….or spiders. Really anything but me is not allowed in unless it wants to help plant and grow it all. Stables for cows and sheep! The only animals I can find lazily walking around the island so far, and the only ones that can be of use besides providing just food. Turn in next time for more progress! I’ll be playing the game pretty much when ever I can so there should be more exciting things happening! Does making a family out of one’s guts make one less lonely if he’s not there to enjoy it? 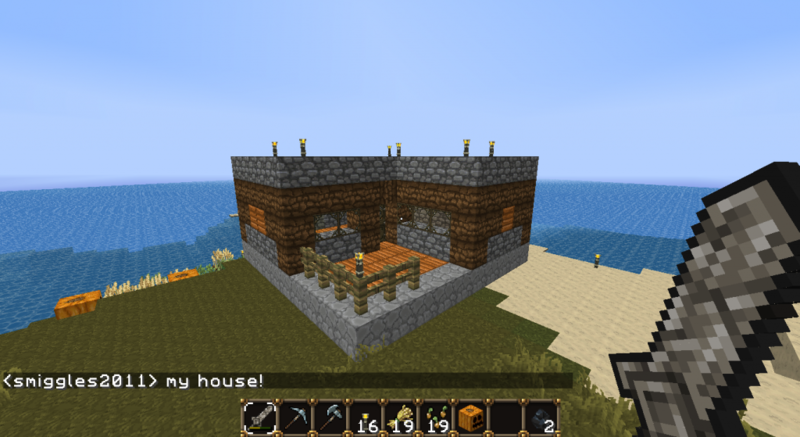 Also, that’s a pretty nice looking small house you’ve got going on there… I’m now inspired to try and jump back into some Minecraft if I can pull myself away from Monster Hunter Ultimate.